You could say that 25 year-old American Joey Rosskopf first really hit the headlines in 2014 with his GC win in The Redlands stage race in the USA, two Pan Am Champs silver medals – road race and time trial – a string of top stage placings in the Colorado Pro Cycling Challenge, not to mention a top six GC spot; and those results were what netted him a contract with ‘super squad’ BMC Racing Team for season 2015. 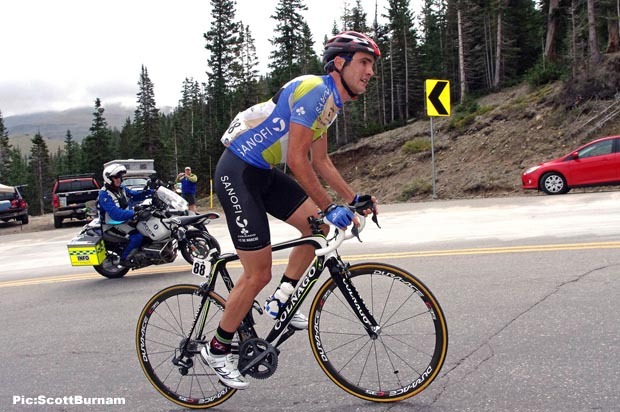 But Rosskopf has been around a while; he won the Tour of Ohio in 2009 before going pro with Mountain Khakis for the 2010 season, winning the Atlanta 100K Classic. Team Type 1 was the name on the jersey for seasons 2011 and ‘12 with solid placings coming from places as diverse as Rwanda, New Zealand and China. The level of success escalated in 2013 when he signed with the Hincapie Sportswear Development Team; he won Paris-Arras - taking a stage along the way - took third in Philly and won a stage in the tough Tour de Beauce in Canada. 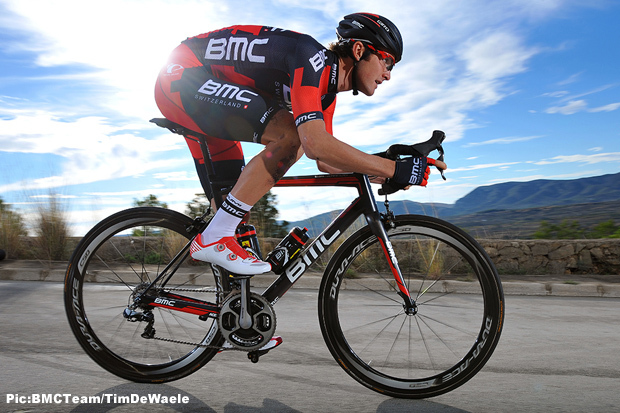 But last season against the World Tour squads in Colorado is where the spotlight shone brightest upon him and it was for BMC Racing Team that the young man from Georgia signed on the dotted line for season 2015. His Euro baptism of fire has seen him exposed to some of the toughest early season races around – Laigueglia, Sud Ardeche, La Drome, Nokere Koerse and De Panne among them. He took time to speak to PEZ right after his first World Tour race, the Vuelta Ciclista al Pais Vasco – not one for the faint hearted. 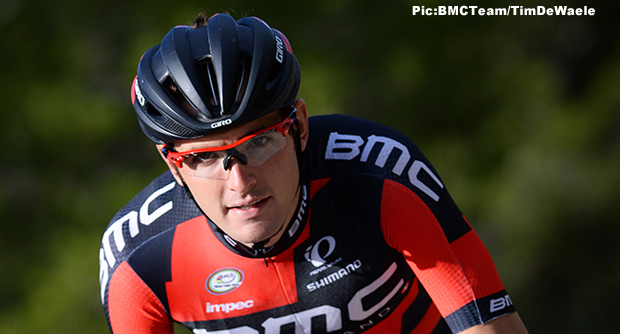 PEZ: Thank you for taking time to speak to us, Joey – what’s been your role with BMC Racing Team thus far? To help the team if I could and to gain experience, I haven’t had a whole lot of pressure upon me to perform. PEZ: Stage One of the Pais Vasco didn’t make for ‘settling in’ to the race, did it? I didn’t prepare for the race, I came down from a Belgian programme, if I’d been prepping specifically for the Pais Vasco I’d have built up differently and brought my weight down. PEZ: What about those cobbled races? I rode the Three Days of West Flanders, Nokere Koerse, Handzame, Dwars Door and De Panne. They were all a learning experience; I think West Flanders was the first race I’ve ever ridden in Belgium. I struggled a little at first but then you figure out where to position yourself and when and how to use your energy best. PEZ: Pais Vasco was your first World Tour race, how did it compare to the other Euro races you’ve ridden thus far? The first three days in Pais Vasco there were more riders behind me each day but I got a little worse each day as the race went on. PEZ: The Stage Five profile looked savage. The circuit was crazy – we had to cover it twice with a 25/30% climb in there. I guess it makes for good theatre on the TV and the top guys going up there first didn’t make it look out of the question - but for me it was a case of getting up without toppling over! The time trial was a crazy one too, one lap of the same circuit – not your usual time trial! PEZ: How’s the recovery going? It’s too early to say; I’m looking to gain a lot of fitness from the six days of racing – but we’ll see. PEZ: Was BMC happy with the team’s performance in Pais Vasco? Everyone did a good job; it would have been better if we’d gained more World Tour points but the parcours wasn’t really for Tejay (van Garderen), the climbs were very steep which suited the small climbers; guys like Rodriguez and Quintana. PEZ: How has your pre-season changed moving from Continental to World Tour level? I’ve started working with Max Testa here at BMC Racing Team; there was more intensity to my work this winter but it’s hard to tell yet if that was a good thing or not. I’ve never been amazing early season -` it usually takes me into the summer to get rolling. We had 10 day training camps in December and January and you definitely train harder at those than you would on your own. But it’s nice; much better than training on your own for months on end – and you can see how your level compares to the others. And the guys are all great; super friendly. PEZ: Whilst Pais Vasco was taking place, so was Redlands . . .
Yeah, I try to keep up with other races; especially if the Hincapie team is riding, some of my best friends are still on the squad. Liege-Bastogne-Liege, but I won’t be there to win! After that I have the Tour of Yorkshire then California – that’s a pretty big goal for me. I assume I’ll be playing a team role but I want to be as prepared as I can be. I have family in San Diego so I’m looking forward to racing in front of them. 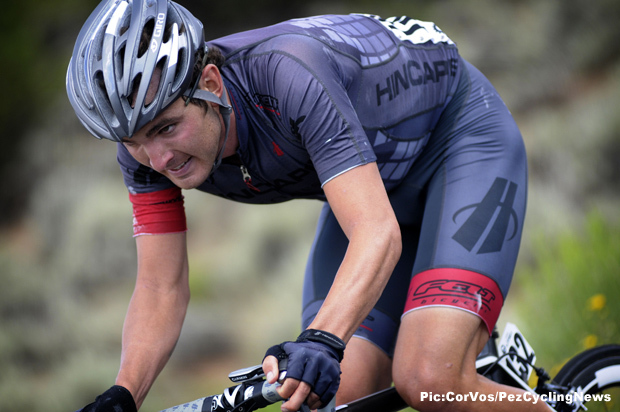 PEZ: What’s the goal for 2015? I don’t know, really; mostly satisfy the team and prove myself to my team mates – and see if I can win a race!